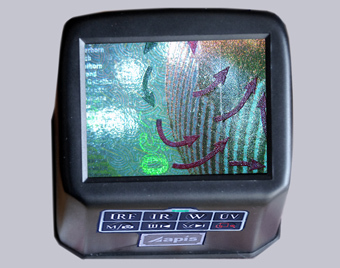 Professional medium portable detector with 3" full color LCD screen is able to magnify 3.5x and 10x inspected object under various lights. 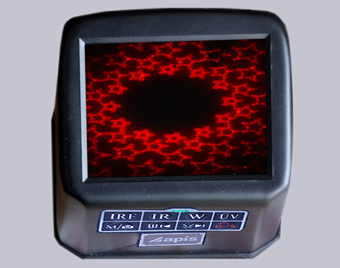 Detector C380 has an additionally enhanced functionality for image capture and saving to the internal memory. 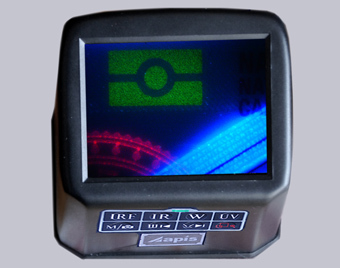 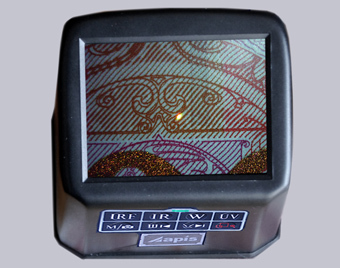 All images are automatically saved to the detector's internal memory with the capacity of 2 GB. 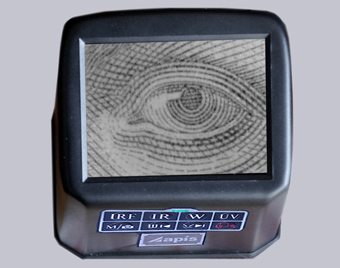 These images can be viewed directly on the device or the external LDC display via HDMI (optional). 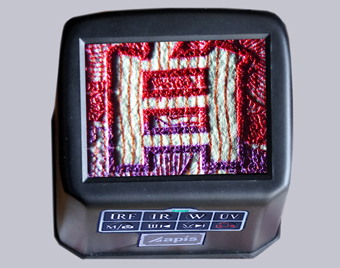 All images can be moved into the PC via USB cable for further processing.